As seen from this image (from NASA) Iceland is situated on top of the Mid-Atlantic Ridge, which is called Reykjanes-hryggur near Iceland. 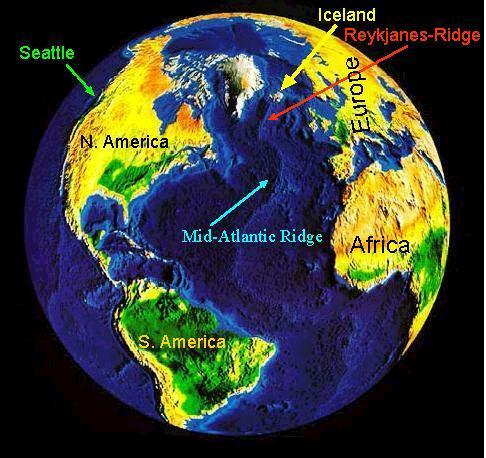 The mid-Atlantic ridge is a spreading center, that is new seafloor is created as the plates are pushed to the side. Comments, suggestions, corrections: E-mail Throstur. Text © Þ. Þ.